Performing a roof check from the outside and inside on a scheduled basis could prevent problems arising down the track. Knowledge on if, or when you may have a leak or gutter problems will save you from having major issues like having to re roof. 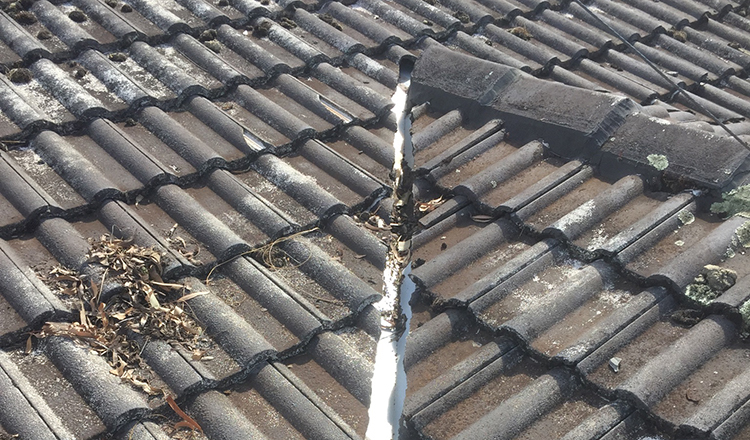 If damage goes on checked it could cause problems by getting through to the underneath of the tile or tin and destroyed the inside of the roof cavity. What to do? First do some inspecting, either yourself or get a professional roof restoration company in to give you a free quote. Access the inside of the Roof cavity through a manhole or another entry area with a torch will be the best way to search the area, if there is daylight showing through any part internally this is opening that will need to be attended to, to protect from water entering. Check for staining or running water marks this could be a sign of moisture building or leaks and after a period of time the water damage could cause sagging to the roofing areas. Sagging should be dealt with as soon as possible by contacting a reputable Roof specialist. If you have noticed damage internally in the roof the results will definitely be on the outside of the roof structure. If there are signs of mould, moss or algae, moisture could be seeping into cracks and crevices. Signs of water marks and staining too will become apparent along with sagging if the water damage has gone too far. Have a look around garden beds and ground surfaces for any signs of broken materials that may have come off the roof. Any damage you notice should be documented to keep a record and contact a Roofing specialist who will be able to give you a free inspection on the overall work that needs to be conducted. Often the damage will be caused by cracked tiles or tin sheeting that has come lose. Guttering that needs replacing etc. This type of damage can be fixed with having to re roof. ROOFWEST Roof Restorations have 35 years of knowledge and experience bringing services all over the South West Region and Greater Southern Regions too. For all your roof restoration, re guttering, re pointing, roof coating and painting needs. For your free quote today Contact Tom and the team on 9795 9990. ROOFWEST Roof Restorations – What Do We Offer? Does your roof need a little lovin’? Cracked mortar, broken tin, rusty guttering or growing mould getting you down? 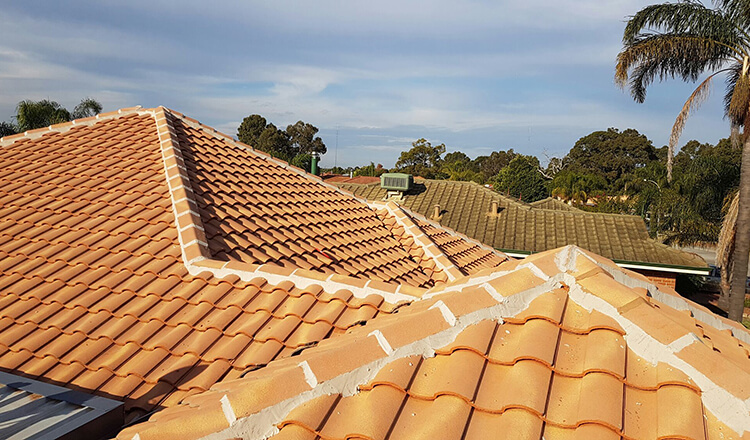 Whatever your roof repair, restoration or replacement needs, ROOFWEST Roof Restoration are your first choice in Bunbury and the South West. When it comes to the biggest surface area of your home, you need a trusted local company that has a proven track record. Your roof withstands the harshest elements and needs to be maintained and repaired to the highest standards to save you money and prevent damage to your home. With 35+ years’ experience in roof restoration, repair and replacement throughout the South West ROOFWEST Roof Restorations can confidently guarantee superior customer service and workmanship on all their services. Prevention is always more affordable than full repair. With free onsite quotes and inspections by a qualified tradesman, ROOFWEST Roof Restorations can attend your property and professionally inspect your roof, giving you a detailed and honest quote that can leave you confident you have made a good choice for your roofing requirements. If you are considering a roof restoration, look no further than ROOFWEST Roof Restorations; your local, trusted roof restoration company that will complete the job on time and on budget. Prevention is always more affordable than full repair. Call ROOFWEST Roof Restorations on 9795 9990 today. Has your older roof started to fade, crack or open up at the joins? Is your newer tin roof looking a little worse for wear or been damaged in winter weather? 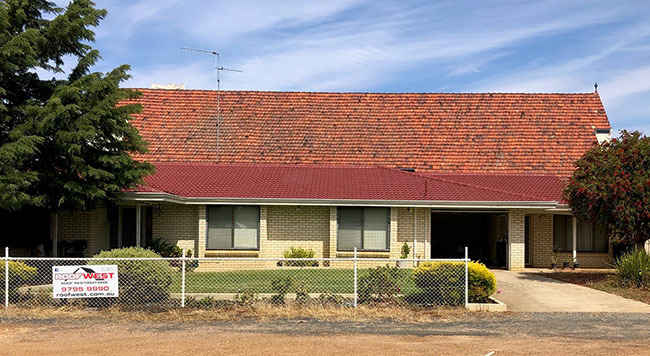 Whether you own an older home in Bunbury or a newer construction in Millbridge or Dalyellup, roof surfaces and guttering can require attention at any stage. 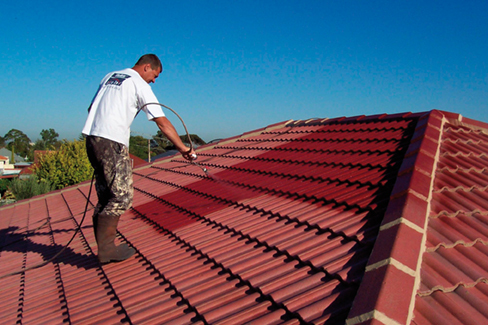 Whether you require roof repointing and restoring, some high pressure cleaning or a complete roof replacement, ROOFWEST Roof Restorations are your first choice in Bunbury and surrounding areas. With over 35 years’ experience serving the South West, the ROOFWEST Roof Restoration team prides itself on their reputation for unbeatable customer service and affordability. With superior products, experience and a local, small business approach, you can’t go wrong with ROOFWEST Roof Restorations, no matter what style, age or condition your roof is in. ROOFWEST Roof Restorations prides themselves on their reputation for excellent customer service, being the only point of contact for our customers from initial quote and roof inspection through to clean up and after sales service. ROOFWEST will inspect your roof, give you a quote, discuss, explain and complete any necessary paperwork, carry out the job, clean up after themselves and offer superior after sales service to all of our customers, every time. Using premium Dulux Acra Tex Next Gen Roof Membrane to seal all of our roof restorations and being extensively trained in the use and safety of high pressure hoses, equipment and repair procedures for your roof tin or tiles, every job completed by ROOFWEST Roof Restorations is done with professionalism and to the highest Australian Standards. In order to comply with your home insurance policy, registered professionals and skilled tradesmen need to complete the repair job. ROOFWEST Roof Restorations are not only qualified to handle all of your insurance claims, they are fully insured themselves as roof restoration specialists and repair agents. ROOFWEST Roof Restorations will not only comply with all insurance standards and requirement, they will efficiently and professionally repair your roof, on time and on budget. 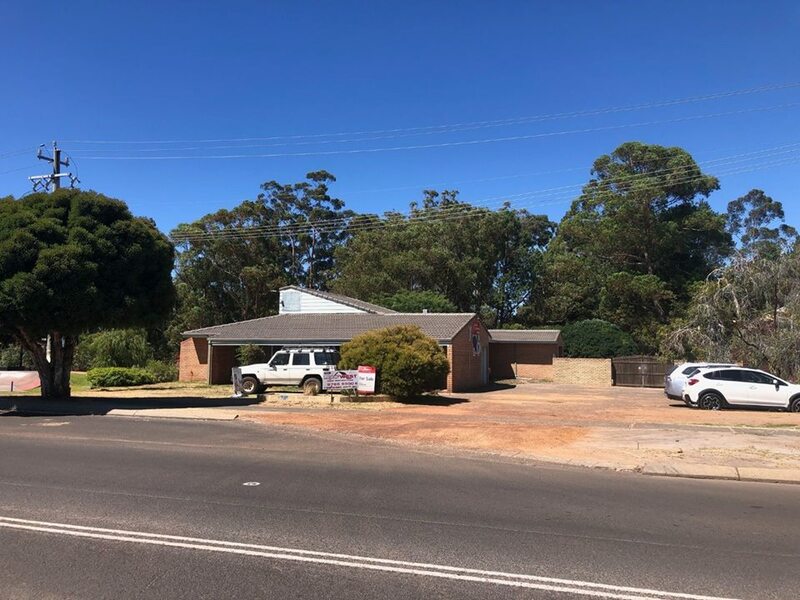 Who Can Fix or Restore My Roof In Bunbury? For the best quality roof restoration and repair at the highest standard for the best price, you cannot go past ROOFWEST Roof Restorations. The preferred local choice in roof and gutter repair, restoration and replacement. Call the office today on 9795 9990 for your free quote. Take a moment to go outside and have a look at your tiled roof surface. Can you see cracks in the spaces between tiles? Can you see loose cement or is your roof leaking inside your home? Does the roof look tired and worn out? Then you need professional roof pointing services from ROOFWEST Roof Restorations. Your roof needs regular maintenance to guarantee that it is in optimal condition against harsh weather and other damaging factors, such as falling tree branches and small rodents that run across the roof surface. If you can see that your roof ridges, hips and rakes have mortar cracks and break up, this is the sign that your roof needs repointing and is need of repair. ROOFWEST Roof Restoration are your local choice in roof restoration and repair, with over 35 years’ experience with the unique weather conditions and local fauna that can impact South West homes. Why Have Your Roof Tiles Repointed? Who Is The Best Professional To Re-Point Your Roof? Roof repointing the process of a flexible compound being applied to the cracks and splits in mortar and tiles on your roof. The flexible compound replaces the older cement mortar that used to be used for repointing roof tiles and depending on the condition of your home, it is recommended to have repointing done to your roof every 10 years. By repointing your tiles, you will stop moisture leaking into your roof. 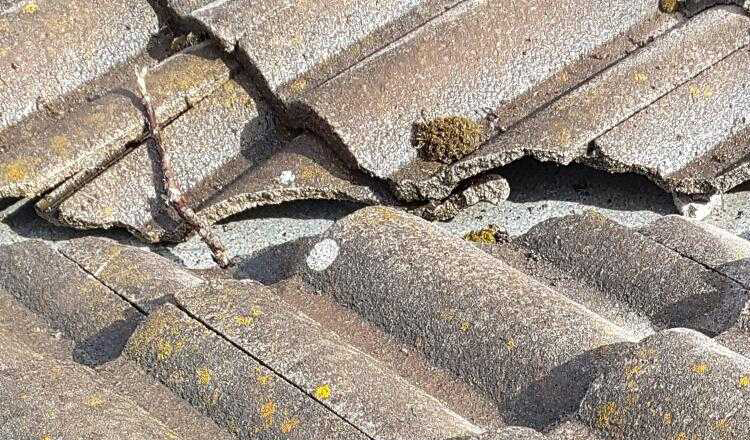 High winds can easily tear off loose tiles and ridge capping, causing costly storm damage to tiled roofs and safety hazards to those underneath the roof. Repointing your tiles and ridge caps will make your tiles safe and secure in high winds and bad weather. ROOFWEST Roof Restorations keep the safety of your family and the integrity of your roof surface at the forefront of their goals when repairing, restoring and replacing your roof materials. 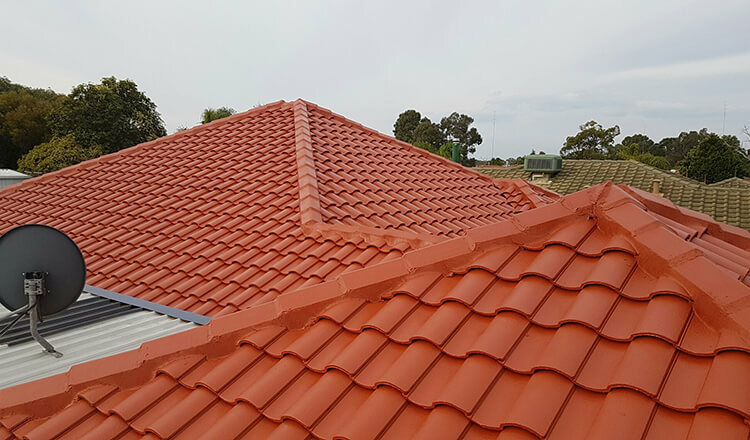 With years of experience and the most advanced technologies in roof restoration processes, the team at ROOFWEST Roof Restorations can re-point the tiles on your roof to prolong it’s lifespan and make it look like new. Looking For Roof Re-Pointing in the South West? Look no further than ROOFWEST Roof Restorations. We are a local company offering a range of roofing services that you can be guaranteed will last. Whether you need a simple re-pointing service or a full roof replacement, ROOFWEST Roof Restorations are your preferred, professional choice. Call Tom and the team on 9795 9990 today for a free quote. Roof repointing is the process or repairing damaged mortar in roof tiling. Broken, cracked or damaged mortar/cement is the perfect opening for water and other forms of moisture to leak into your roof cavity and your home. Once moisture enters your roof space, it can cause damage to your insulation, ceiling materials and other structures so it is best to maintain your roof by repointing to remove this primary entry point. 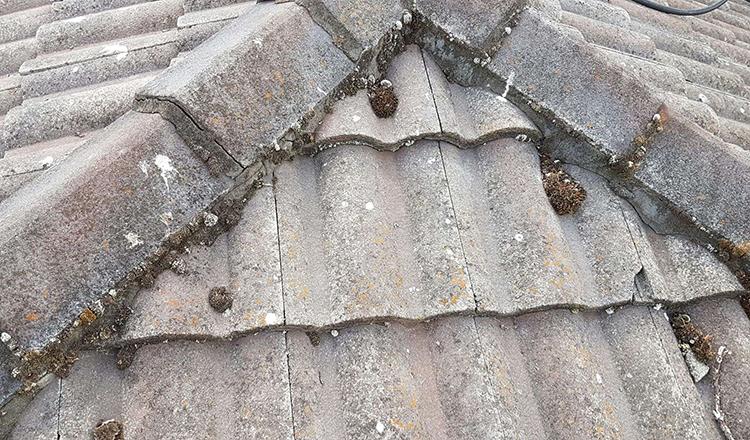 ROOFWEST Roof Restorations are your first choice in roof restoration and repair in the South West, specialling in repointing of ridge tiles, capping, hips and rakes. If you can see these areas have mortar cracks and breaks, this is your first indication that you need repointing. These days, a flexible membrane is used in repointing that replaces the older cement. This membrane, known as AcraTex Roof Sealer from Dulux, is a fully adhered, fluid applied, a seamless coating that will not only seal all your cracks and broken tiles but will breathe new life into your roof. When Should I Get It Done? When you first suspect damage to your roof. Depending on the condition of your home and the elements that your roof endures, it is recommended to have your repointing carried out every 10 years, however if your roof is looking past it’s prime, old and worn out or if your roof is actually leaking inside your home, it is time to get the job done now. Why Should I get It Done? Repointing fixes small cracks and breaks that can lead to much bigger, much more costly problems. By maintaining your roof, you not only save yourself money, you prolong the life of your roof and add value to your home. Repointing will also protect your roof surface from damage from high winds and bad weather and also prevent loose tiles and ridge capping from being torn off. Who Can Assist Me With Repointing in Bunbury? It is essential you hire a professional to carry out your roof repointing to ensure it is compliant with insurance standards and is completed safely. ROOFWEST Roof Restorations are your local specialists with over 35 years’ experience in all areas of roof repair and restoration. For a free onsite quote, phone Tom today on 9795 9990.